At the national convention of a major political party, an ideologically rigid sectarian clique secures the ultimate triumph. It inserts two of its own as nominees for the Presidency and the Vice Presidency. Heavily financed by the most powerful corporations in the world, the group's leaders gather in a private club fifty-four floors above the convention hall, apart from the delegates of the party they had infiltrated. There, they carefully monitor the convention's acceptance of a platform the organization had drafted almost in its entirety. Then, with the ticket secured and with the policy course of the party set, they introduce a team of 100 shock troops to deploy across the country to lock up the party's grassroots. This is not some fantastic political thriller starring Harrison Ford or Sharon Stone. This is the real-life version of Invasion of the Party Snatchers--with the Democratic Leadership Council (DLC) burrowing into the pod that is the Democratic Party. Founded in the mid-1980s with essentially the same purpose as the Christian Coalition--to pull a broad political party dramatically to the right--the DLC has been far more successful than its headline-grabbing Republican counterpart. After Walter Mondale's 1984 defeat at the hands of Ronald Reagan, a group of mostly Southern, conservative Democrats hatched the theory that their party was in trouble because it had grown too sympathetic to the agendas of organized labor, feminists, African Americans, Latinos, gays and lesbians, peace activists, and egalitarians. And they found willing corporate allies, in corporate America, who provided the money needed to make a theory appear to be a movement. In the ensuing fifteen years, the DLC's impact on the American political debate has been dramatic. The group now controls much of the upper-level apparatus of the Democratic Party..
A day is soon coming when "we'll finally be able to proclaim that all Democrats are, indeed, New Democrats," declared DLC President Al From on the eve of this year's Democratic National Convention. The triumphalist talk was backed up by the reality of the convention. Vice President Al Gore, a man present at the founding of the DLC and loyal to the organization ever since, was nominated for the Presidency. Connecticut Senator Joseph Lieberman, the current president of the DLC and very possibly the truest of its true believers, was nominated for the Vice Presidency. And, with virtually no debate, the convention endorsed a platform that, on the vast majority of issues, deviated radically from the views of most party members. According to a New York Times survey of convention delegates, traditional liberalism remained the most popular ideological stance. Trade union members made up a quarter of the delegates, and people of color were better represented than at any major party gathering in the nation's history..
"We have all these progressive Democrats here ready to fight on issues of economic and social justice, Democrats who know these are the winning issues and who know that when we fail to run on them we lose," said Representative Jesse Jackson Jr., Democrat of Illinois. "But, in the leadership positions of the party, we have the DLC trying to pull us in an entirely different direction." Minnesota Senator Paul Wellstone echoed Jackson's view. "There are forces within the Democratic Party who want us to sound like kinder, gentler Republicans," he said. "I want us to compete for that great mass of voters that want a party that will stand up for working Americans, family farmers, and people who haven't felt the benefits of the economic upturn." It's not surprising that Jackson, Wellstone, Senator Russ Feingold, Democrat of Wisconsin, members of the Congressional Progressive Caucus and the Congressional Black Caucus, the AFL-CIO, the venerable Americans for Democratic Action, and other upholders of traditional Democratic values are aghast at the DLC. They have seen their party taken over by an ideological force that opposes almost all of what they stand for. Green Party Presidential candidate Ralph Nader, whom the DLC dismisses as "a cranky peddler of corporate conspiracy theories," says publicly what many veteran Democrats admit privately. "You had Al From and the DLC and the corporate lobbyists running the Democratic Party convention this year, picking the candidates, writing the platform, just as they'll run things in the fall and after November if they're given a chance," says the consumer activist. "Even if Al Gore wanted to do the right thing, which I do not suggest that he does, he would be told by the DLC and its corporate contributors, 'We're sorry, that's not in the script.' "
Those corporate contributors--whose names fill the lists of givers to the DLC and a closely linked political arm, the New Democrat Network--include Bank One, Citigroup, Dow Chemical, DuPont, General Electric, the Health Insurance Corporation of America, Merrill Lynch, Microsoft, Morgan Stanley, the National Association of Mortgage Brokers, Occidental Petroleum, Raytheon, and much of the rest of the Fortune 500. "With the DLC in a position to influence the Democratic Party, Wall Street wins either way," says populist Jim Hightower, who has abandoned his lifelong loyalty to the Democratic Party this year in order to back Nader's candidacy. "If the Republicans win, the corporations have a party in power that will do their bidding. And if the Democrats win, Wall Street knows the DLC will keep them in line." How did the DLC become so powerful? In part, by grabbing hold of party machinery and hanging on for dear life. As far back as 1988, just three years after the organization's founding, DLC-ers mounted a full-scale effort to reshape the party. First, they engineered the development of the Southern "Super Tuesday" primary in an unsuccessful attempt to secure the Presidential nomination for a Southerner such as Gore the first time around. Next, they installed another DLC co-founder, Michigan Governor James Blanchard, as chair of the party platform committee. But the DLC was unable to shape the course of the party at that 1988 convention. "Although many DLC members found their way into some of the most important roles at the convention, it did not mean that the New Democrats had the upper hand," observes Kenneth S. Baer in his new book Reinventing Democrats: The Politics of Liberalism from Reagan to Clinton (University of Kansas). 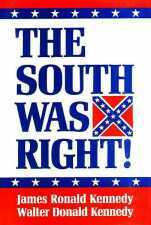 Jackson identified the DLC leadership, most of which hailed from the Southern states that had made up the Confederacy, as "Dixiecrats"--a reference to the racist Democrats who blocked civil rights. The battle of Cleveland was on. The well-publicized confrontation exposed the DLC's fiscal and ideological ties to distinctly non-Democratic groups and individuals. Then-Senator Howard Metzenbaum, Democrat of Ohio, said he was dismayed that a top Ohio Republican had provided $50,000 in funding for the DLC gathering and that the event was awash in Philip Morris, RJR Nabisco, and AT&T money. Then-Representative William Gray, Democrat of Pennsylvania, who had been a DLC governing board member, said the group's agenda on affirmative action and other issues of concern to African Americans "sounds like David Duke." Such talk led some liberals to believe they had gained the upper hand in the struggle with the DLC. But most Democrats, determined to retake the White House by any means necessary, chose to ignore the DLC--which was fine by From and his associates. After the Cleveland debacle, the DLC abandoned the "big tent" approach that had characterized its early years--when it proudly counted the likes of House Minority Leader Richard Gephardt, Democrat of Missouri, in its ranks. The lack of a grassroots base would have made this narrowing of constituency dangerous for some groups, but not the DLC. Secure in its corporate funding, the organization had the money to continue operating as a sort of upscale fifth column, "an elite organization funded by elite--corporate and private--donors," explains Baer. DLC operatives assumed key roles in Clinton's campaign. And they simply gritted their teeth when the 1992 Democratic nominee jettisoned the DLC line for the more populist "putting people first" rhetoric that would ultimately carry him to the White House with crucial support drawn from labor, minority, and feminist constituencies. Clinton's 1992 scramble away from DLC language came as no surprise. He can read a public opinion survey as well as the next politician. As Democratic pollster and Clinton confidant Stanley Greenberg noted several years ago, the President's approval numbers did not begin to rise "until he rejected the advice of conservatives of the party" and began to adopt populist and distinctly non-DLC rhetoric on issues ranging from tax policy to protecting Social Security. Clinton learned early on the dangers of following the DLC line too closely. After the 1992 election, giddy New Democrats inside and outside the Administration did much to define the first two years of the Clinton Presidency. The result was the worst Democratic electoral setback of the century--a sweeping rejection of the party caused, in no small measure, by the failure of millions of working class voters to go to the polls. They were angered by Clinton's over-the-top backing of the North American Free Trade Agreement (NAFTA), a DLC signature issue. After the 1994 election, DLC cadres set about shaping political structures that would give it greater influence within the Congressional Democratic caucus. They formed the New Democrat Network, a well-funded group dedicated to electing and reelecting corporation-friendly Democrats. It expanded the House membership after both the 1996 and 1998 elections. Today, the DLC is not merely the favored club of Al Gore and Joe Lieberman. It's also at the center of a web of think tanks, lobbying groups, and electoral activity designed to create a new-model Democratic Party. This new party favors Wall Street-approved free trade pacts, privatization of public services, school "choice," business-friendly regulatory "reforms," and other planks of the Republican Party's economic platform. The DLC-tied Progressive Policy Institute has become the prime Democratic exponent of the U.S. Chamber of Commerce line on globalization: free trade good, protests bad. The DLC got so excited about putting expansion of NAFTA on fast track in 1997 that it hired lobbyists and aired its first-ever television ad campaign, a $200,000 initiative that urged viewers to tell Congress to hand over trade negotiating authority to the President. Congress said "no" then, but the position resurfaces as a plank in this year's platform. The Progressive Policy Institute is head cheerleader for the World Trade Organization (WTO). The institute issues papers with such titles as "The Progressive Case for a New WTO Round." And it was in the forefront of efforts to discredit critics of corporate-designed trade liberalization. An institute briefing paper penned by Jenny Bates condemned the rhetoric employed by WTO critics, arguing that "the approach being adopted by many of these groups goes beyond reasoned criticism and enters the realm of vitriolic hyperbole, not employed with such passion since the activism of the 1960s." Now, the DLC and its allied groups, particularly the New Democrat Network, have stepped up efforts to assure that future trade votes will favor Wall Street over Main Street. "I believe the Democratic Party has to reposition itself on international issues," declares California Representative Cal Dooley, chief of the New Democrat Network. Powered by generous contributions from groups such as Americans for Free International Trade and the U.S. Chamber of Commerce, the New Democrat Network intervenes on behalf of business-friendly Democratic Congressional candidates in primary and general elections. The group already has more than sixty members in the House Democratic Caucus, and it hopes to push that figure to eighty after November's election--a goal that will be advanced with a budget expected to exceed $5 million. Democratic Leadership Council members such as From can barely contain their glee at the prospect of Al Gore and Joe Lieberman winning the White House and Democrats taking charge of the House with a majority that depends on the New Democrats. But rhetorically, Al Gore is not singing from the DLC prayer book. Like Clinton before him, he has cranked up the populism. At campaign stops in blue collar cities along the Mississippi River, the Democratic nominee was bashing "big tobacco, big oil, the big polluters, the pharmaceutical companies, HMOs," and a host of other corporate targets. These "which-side-are-you-on" speeches were decidedly un-DLC in tone and represented an implicit admission of something most Democrats know all too well: The DLC message has very little appeal beyond the beltway. But even as Gore hit the campaign trail with a "give 'em hell" stump speech that borrowed the old Roosevelt, Truman, and Ralph Nader critique of economic royalism, Lieberman was busily assuring a Wall Street Journal reporter that Gore's attacks on corporations were just "rhetorical flourishes." The ticket is "pro-business," he declared, adding, "Political rallies tend not to be places for extremely thoughtful argument." Using the code that conservative Democrats and wealthy campaign donors have come to understand, the Democratic Vice Presidential candidate assured corporate America that he and Gore stood "ready to keep America changing in the New Democrat direction." John Nichols is Editorial Page Editor of The Capital Times of Madison, Wisconsin. He wrote "A Minnesota Populist Tries to Crash the Millionaires' Club" in the September issue.